On offer will be mens and womens clothing, and accessories. Find a one-off sample, fashion exclusive, latest product, or a sales bargain. 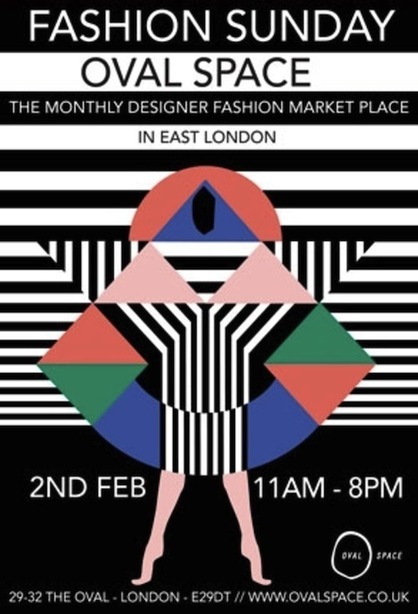 Designers this month include Danish king of offbeat cool Peter Jensen, WGSN fashion award winner Emma J Shipley, Drapers ‘Footwear Designer of the Year’ Kat Maconie, cutting-edge jewellers Moxham, purveyor of fine leather accessories, Bracken, and jewellery designers Finchittida Finch. With Oval Space providing a clean, minimalist backdrop – think industrial concrete floors, exposed brick and floor to ceiling windows overlooking the gas works – designers will each have their own space to customise and represent their brand as they see fit. No other fashion market in the capital boasts such high-calibre designers and a fashion forward audience with such regularity and on this scale, and looks to become a firm fixture on any fashion lover’s calandar. Launching Sunday 2nd February 2014 and occurring monthly.